Books, Stories, and Novels About Autism! Sebastian was born left-handed. Turns out, that's not exactly normal in his society. I find it difficult to express emotions, I always have. 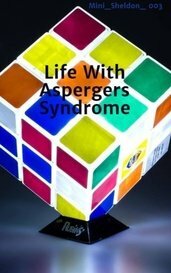 I never know what was wrong with me until I got diagnosed with Aspergers Syndrome. "Why not? You've said it yourself that I am a challenge you were not prepared for. Why continue? Your path with me is futile." He will not win. You cannot win a game if you don't know the rules. Under suggestion from Riza, Mustang brings Edward along on a mission of sorts. During the week that Edward is with them, he starts to have conflicting feelings about them, reminded of his parents. In a world of hope, peace and love, Death comes to the family of a young 8 year old autistic girl, Join her on an adventure with her new friends. I absolutely adore this novel, it really tugs at the heart strings. I work with autistic young people and the way the story is told is unmistakably beautiful and is written in a why that deals with the subject of autism in the kindest manner I strongly recommend this to everyone. 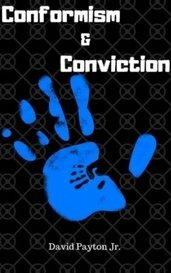 Can a man with Asperger's and a teacher assistant put aside their differences and build a program for kids desperately in need of social skills? Can this relationship become something they both need? This book is my tell all how having a son with Autism turned my life around for the better. While her career surges, a beautiful Manhattan therapist embraces her intensifying violent fantasies, putting her patients and loved ones in peril. Manny is not like other children. He doesn’t talk. He doesn’t leave the house. And now, his aggression is more than his parents can handle. Is there a way that Manny can belong?